One important aspect of a muzzle brake is helping the rifle stay on target. In fact, I was discussing this muzzle brake test with David Tubb, a very accomplished rifleman, and he is convinced the ability to stay on target was the most important aspect of a muzzle brake. 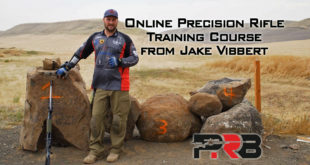 He thought a few percentage points difference in recoil reduction may not make a huge difference (or help you get more hits), but a brake that can keep you on target can be a big advantage. Staying on target not only allows quick follow-up shots, but more importantly for precision shooting, it allows you to watch your bullet impact. By spotting your bullet splash, you can fine-tune your elevation or windage adjustments with confidence. This can help with the learning curve for new shooters, and provides rich, real-time feedback for veteran shooters as well. You just don’t always have the luxury of a veteran spotter with good communication skills, and in competitions and hunting situations, you’re typically on your own. So a muzzle brake that keeps you on target and helps you spot your own shots can be a critical piece of gear. My first precision rifle was a custom 7mm Rem Mag, which I thought I’d primarily use hunting … but I ended up using it in my first few tactical competitions. The recoil on that rifle (and poor muzzle brake) caused it to launch off the ground on each shot. For shots beyond 600 yards, I could typically get the rifle back on target in time to watch my bullet splash. But for closer shots, I’d only know if I hit the steel target or not. I didn’t realize how much of a handicap it was to not be able to watch my bullet on each shot. Let us now consider the phenomenon known as ‘‘gun jump.’’ The axis of the gun bore, which is where the gas forces are applied, is usually not collinear with the mass center of the recoiling parts. This creates a moment couple often referred to as the ‘‘powder couple,’’ which acts upon firing. This couple causes a rotation of the gun that usually results in muzzle rise. This contributes to projectile jump, but is by no means the sole cause of it. Dr. Carlucci goes on to say some muzzle brakes are specifically designed to help limit muzzle climb, and those “sometimes increased accuracy results from shot to shot because of reduced weapon movement.” Wow, that’s an interesting thought. Jim See is an accomplished shooter in the Precision Rifle Series, and he is a sharp guy who has designed several muzzle brakes, including the Center Shot Rifles Blast Tamer in this field test. Jim believes some muzzle brake designs vent so much gas out the top that they end up overcompensating for muzzle rise, and it may end up hurting more than helping. If too much gas is vented upward, it will result in downward force on the barrel, and essentially turns the barrel into a spring. The barrel will eventually rebound, and could cause you to lose the target picture as it bounces back up. I noticed Carlucci mentioned something similar: “If the weapon is already horizontal and the venting thrust has a large vertical component, this can be a substantial loading.” That is something that isn’t immediately evident, but should be kept in mind when designing and evaluating muzzle brakes. At first, I struggled coming up with a way to objectively quantify the ability to stay on target, and wasn’t sure if I’d be able to evaluate this aspect in the field test. 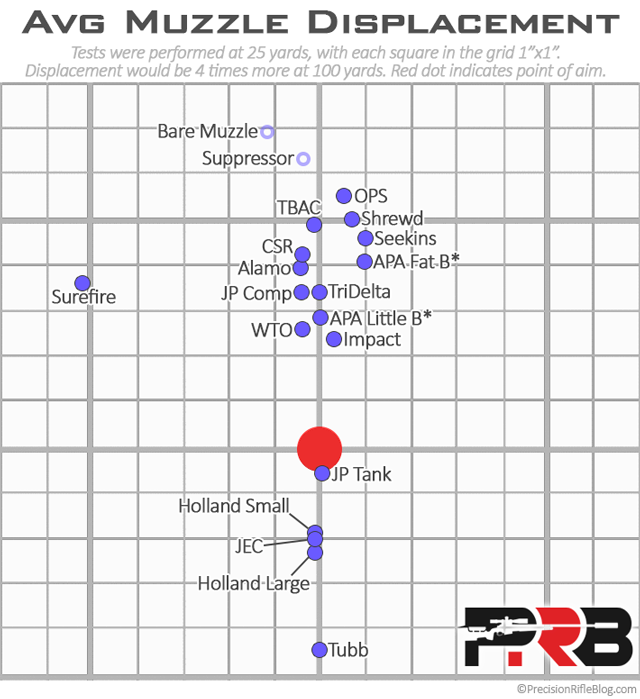 But, as I mentioned, David Tubb believed this was one of the most important aspects of a muzzle brake, so we brainstormed ways to quantify this. David said he tested this by firing from a bench, off a bipod, but with the rear of the rifle unsupported. By leaving the rear of the rifle unsupported, we’re able to record the full range of muzzle movement. David said he was always careful to use the same body position on each shot, and ensure everything was in the same place (rifle, bipod, his feet, his hands, etc.). He’d then fire a shot and record where his crosshairs ended up after the shot. So that is where I started. In conversations with Bob Bellows, a close friend of mine, we came up with a tweak to this approach that might ensure the measurements weren’t skewed by the shooter (primarily because I’m not as good of a shooter as David). We attached a laser to the rifle, and added a slow-motion camera capable of recording 240 frames/second (10 times faster than a standard video camera). I attached the high-speed camera to a spotting scope a few yards away from the rifle, so the gases from the muzzle brake wouldn’t obscure the image. Then I placed a target at 25 yards that had a grid of 1”x1” squares on it and an aiming point. I’d align the laser with the aiming point, fire a shot, and the high-speed camera would record where the laser moved. I recorded a couple shots for each muzzle brake. I was surprised how well this worked. I analyzed the video frame by frame on a computer, and you could clearly see a sudden and direct movement when the shot was fired. In fact, I could watch the laser move under recoil for a few frames before the bullet reached the 25 yard target! The laser would sharply move to a particular location, and it would move to that same approximate position on each shot. It was surprisingly repeatable. Here is a quick video that explains the setup, shows me firing one of the brakes, and has a sample of the slow-motion video of the laser on the target. I froze a few of the frames to help you see what I was able to when analyzing the video on the computer. All of these tests were performed using my custom 6XC. Since I didn’t have brakes in every caliber, I went with the smallest caliber test rifle (that also happens to be my personal favorite 😉 ) so I could test the most brakes possible with a single rifle. Remember, we saw in the recoil results that caliber-specific brakes only showed a 1-3% improvement over a generic 30 caliber brake. 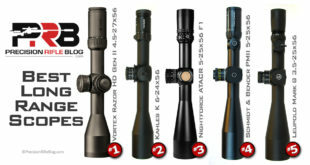 Muzzle rise depends on the center of gravity of the rifle, cartridge size, and many other factors. The rifle used on this test is representative of a tactical precision rifle typical for the mid-size calibers we’re focusing on in this field test (6mm through 30 caliber). However, if you changed the cartridge size or rifle configuration, your results could vary from what is shown here. I do this all out-of-pocket in my spare time, so I can’t test infinite rifle configurations. 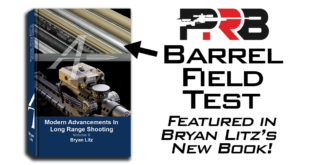 But, these results should provide a lot of objective insight into the performance of various brake designs, especially for the niche of tactical, bolt-action, long-range, precision rifles I write about. The diagram below shows how closely each brake remained to the original point of aim. The red dot indicates where the laser was when the shot was fired, and the blue dots are the average locations where it was after the shot. I also included indicators to show how much movement I recorded with a bare muzzle and a suppressor. You can see most brakes ended up above the original point of aim, a few ended up below it, and one was off to the side. If they were above, that meant there was still some amount of muzzle rise, although all of the brakes kept you on target better than the bare muzzle or suppressor. If the dot is below the point of aim that means muzzle rise was completely defeated, and the barrel was actually pushed down by the large amount of gas that was vented upward. The first thing that stands out is the JP Recoil Eliminator (aka JP Tank). It barely moved. That happened to be the brake I had on the rifle for the video of this test (shown earlier in this post), which was complete coincidence. But if you watch the video, you can see there is virtually no muzzle movement when I fire each shot. Its nuts. Well done, JP. You probably also noticed the Surefire SOCOM Muzzle Brake is way off to the left side. I measured 5 inches of horizontal movement on a target set at 25 yards, so that would be 20 inches at 100 yards, and the equivalent of over 16 feet at 1000 yards. If you’re shooting long range … that might be a problem. I can only attribute this to the two offset holes on top of the brake (see photo below). One hole seems like an odd shape, and they clearly aren’t symmetric. You can see the larger hole is on the right, which pushes the muzzle to the left. I plan to show additional photos in the muzzle blast post that illustrates the uneven amount of work being done by those two holes. Those holes may be necessary for the Surefire suppressor designed to mount over this muzzle brake, but they seem to hurt the ability for the muzzle brake to stay on target. Update 7/27: One of my readers mentioned Surefire has a new revision of this brake with a symmetric design (holes are the same on both sides). This brake was purchased 1-2 years ago. The new design appears similar other than that change, so it may move closer to the center line, but some of that motion would likely translate to the vertical plane causing it to be higher on the target. The Tubb Precision Muzzle Brake forced the muzzle toward the bottom of the target, but it had an interesting feature. When the brake was installed with the top pointed directly at the 12 o’clock position, you could see some horizontal movement on the video toward the left side of the target. But the Tubb brake is specifically designed to be tuned to eliminate horizontal movement. I turned the brake to 11 o’clock, and that caused horizontal movement to the right. But, if I split the difference (top of brake pointing at approximately 11:30), it completely removed the horizontal movement. It’s a neat feature. The brake includes a large locking nut to make this kind of fine-tuning easy. I did test all 3 models of the Center Shot Rifles Blast Tamer muzzle brakes (round 3-port, clamp-on 3-port, and 4-port). The results of all 3 were right on top of each other. So I combined them into one group in the results. 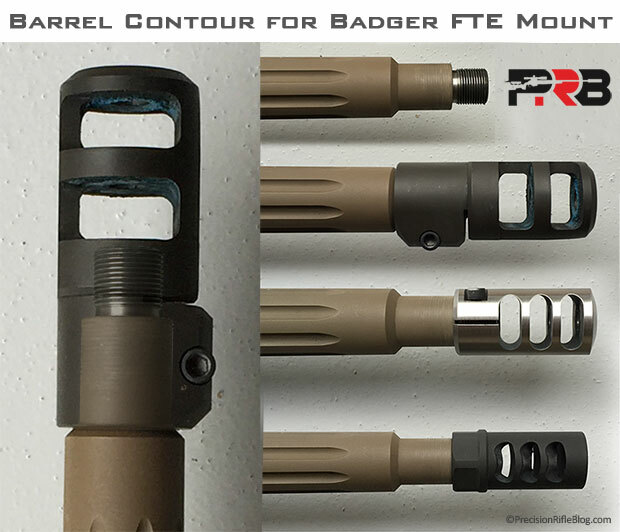 As I mentioned before, the Badger Ordnance FTE Muzzle Brake wouldn’t fit on any of my precision rifles without having to mod the barrel (and nobody is touching my barrel). The Badger FTE doesn’t just screw on like most brakes, it screws on and then clamps around the barrel. That means the barrel has to be contoured to very specific dimensions. So unfortunately, I wasn’t able to test the Badger FTE’s ability to stay on target because of that design. Here is another view of the same data, but translated to the equivalent angle the muzzle moved from the point of aim in MOA (minute of angle). One thing you’ll notice is our high-end 9” suppressor didn’t give us much help staying on target. It moved 24 MOA, where a bare muzzle moved 27 MOA, meaning the suppressor was only 8% better than nothing at all. So if you’re hoping to watch your bullet impact, it appears you’d be better off attaching a brake over a suppressor. I calculated a rating for each brake’s ability to stay on target. The bare muzzle displacement (27 MOA) equates to a rating of 0. Then, for a muzzle brake to get a full 10 point rating, it needs to remain within 5 MOA of the original point of aim. Only the JP Recoil Eliminator was able to provide that level of performance, but a few others got close. There are two common brake design techniques used to limit muzzle rise. Both result in slightly more gas being sent upward. It seems like muzzle brake designers try to strike the right balance between sending enough gas upward to offset muzzle rise, and not sending so much that it loads the barrel by forcing it downward. I ran these tests a few weeks ago, but just processed the results this past week. After seeing the results, I measured a bunch of physical dimensions on the brakes, to see how those correlate. It seems like there are thousands of people trying to design their own brake, so I thought this might help them see what struck the best balance for the 6XC I was using. I noticed in the results was that if the brake did poorly on recoil reduction (results in previous post), it probably didn’t do great here either. Recoil reduction could be roughly thought of as a measure of how well the design redirects or harnesses gas to do work in our favor. If a brake isn’t great at redirecting gas, then it’s not surprising that it doesn’t effectively redirect a portion of gas upward to offset muzzle rise. Avg Vertical Displacement – This is the amount of movement I recorded in MOA (minute of angle), but it only reflects the displacement in the vertical direction (y axis). If the box is blue, that means it moved down. If it is red, it moved up. If it is white, it is just right. % Smaller On Top Than Bottom – This is a percentage indicating how much more narrow the top width is than the bottom width (like what is shown on the left in the graphic above). For example, if the bottom width measured 1” and the top width measured 0.70”, this value would be 30%. Area of Top Ports – I made the necessary measurements to calculate the total size (in terms of area) of all the upward facing holes on the brake (like what is shown on the right in the graphic above). 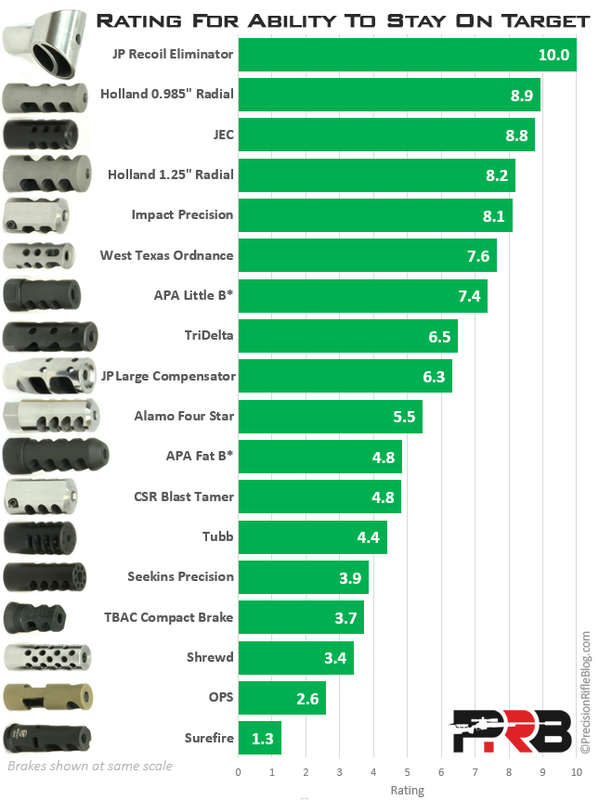 Recoil Rating – This is the overall rating for recoil reduction for each brake (from previous post). It helps you roughly see how effective the brake is at redirecting gas. The thick black box is around all the brakes that stayed within 10 MOA of the original point of aim, which is great performance. There is some extremely complex physics going on inside a brake, so I don’t want to over-simplify this, but I wanted to point out some interesting trends from the data. Based on these tests, it looks like wrapping the side ports up around the side of the brake so that the top is around 30-45% narrower than the bottom may be the sweet spot to offset muzzle rise. If you’re drilling holes on top to offset muzzle rise, then it looks like you might aim for a total area of 0.14-0.25 square inches. Of course, this all depends on the size of the brake, the internals of how it baffles redirect gas, and a million other variables … but these may be a good place to start. If you’ll find the Alamo Four Star brake towards the bottom of the table, you can see from that brake to the bottom of the table the order closely follows the recoil rating. There are a couple brakes at the bottom that did have a more narrow top than bottom (TBAC Compact Brake and OPS), but they still ended up far away from the point of aim after the shot. The TBAC brake is very short, and it may need a much narrower top to redirect enough gas to offset the muzzle rise. The OPS muzzle brake only has a small section where the top is narrower than the bottom, and it is just poor at redirecting gas in general (as we discovered in the recoil results). Although I wasn’t able to test the Badger FTE Muzzle Brake, based on these measurements I’d expect it to perform similar to the Tubb Precision Muzzle Brake. I can’t say that for sure, but all the numbers in the table seem very similar for those two brakes. There at least seems to be some evidence hinting to that being too much gas escaping out the top, which will push the barrel down at first, and then cause it to bounce back up above the original point of aim. 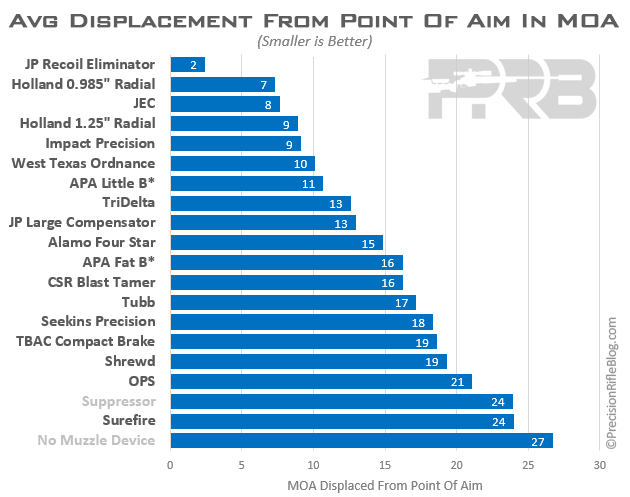 The results for the APA Little B* Muzzle Brake also caught my attention. That design only has side ports. There isn’t a top or bottom. But somehow, it ended up doing better than the other brakes that didn’t have any feature built-in to offset muzzle rise … and even did better than a few that did. I thought that was odd, so I retested it … and retested it again. But, it came up the same each time. It isn’t completely crazy, because the TriDelta and Surefire brakes it beat simply aren’t good at redirecting gas. The JP Compensator has tiny holes on top, which look a lot bigger than they really are. And the APA Little B* muzzle brake is really, really good at redirecting gas. So it isn’t a huge shocker, but I thought it was interesting to note. In the next post, I’ll cover the data we recorded with a high-end sound meter to measure how loud each brake was to the side of the rifle and at the shooter’s position behind the rifle. As usual the amount of work you put into this is phenomenal. But I have to say I don’t these are fair results. Like you said earlier in your post the muzzle rise comes from an offset between the CG and the barrel (where the force is). What this means is every adjustment or physical alteration affects the balance. A brake that over compensated on your gun might be perfect for a gun with more distance between the CG and the barrel. Everything from barrel moment of inertia (affecting its resistance to bending) to the weight of your bipod come into play. In fact beyond the gun, your cartridge even affects this by the rate of gas flow. I’m not saying your hypothesis, test, or data are wrong, but the conclusion is missing a detail. This study does sort the brakes by how well they stay on target, but only for your setup. Hey, Adith. I originally had a paragraph in there that explained some of those exact points, but I couldn’t ever word it in a way that didn’t sound really technical. I just figured most people’s eyes would glaze over as they read it, so I cut it. But you have a good point, and it just shows that I should have left that in. So I went back and added a little disclaimer paragraph back into the post that explains that your mileage may vary, and these results are all based on one rifle. I will say that I bet most tactical precision rifles would be very, very similar to what is shown here. For example, the 6.5 Creedmoor I used on the recoil tests was very representative of what you’d see in PRS type competitions. It was a lighter rifle than my 6XC, at least by a couple pounds. But the barrel was slightly lighter (fluted heavy palma at 22″ instead of non-fluted MTU at 24″), and the stock was slightly lighter (I’ve weighed both of the bare stocks). So if you shrank both of those, the center of gravity will be approximately the same. The amount of powder between the 6XC and the 6.5 Creedmoor (and 90% of the other popular precision rifle cartridges) are virtually identical as well. My bet is that although there may be some slight shifting regarding where brakes ended up on the target, it would be nowhere close to significant. The brakes that have no built-in mechanism to offset muzzle rise … will still be way up. The remaining few may shift up or down slightly. Now if we’re stepping up to a completely different cartridge like the 300 Norma Mag, they might move around a little more … but I bet they end up in roughly the same order. Unfortunately, the 300 Norma has less than 1000 rounds of accurate barrel life, so I couldn’t just continue to fire rounds through a rifle with such short barrel life that I borrowed from a friend. And most of my readers are firing mid-sized cartridges like the 6XC, 6.5 Creedmoor, 6.5×47 Lapua, 260 Rem, 308 Win, etc … so those are far more relevant anyway. Having said all that, I do appreciate your comment (as always). I did already update the post by adding a paragraph right at the top of “The Results” section, and even put it in bold to make sure people don’t miss it. The last thing I want to do is be misleading on any of this. Can you try a ratworx little chubby muzzle brake? Sorry, Nathan. This test is in the books. I’m just publishing the data at this point. I may test another batch of brakes in the future, and I’ll keep that in mind. I may let people vote on what is included in the next one. This first one, I really just wanted to focus on the most popular ones and then fill in with other unique designs I’d seen floating around. But now that I’ve laid the initial ground-work, I may let my readers decide what brakes I test if I do another batch. Haters going hate. 😉 Hey, anytime you try to do something that’s never been done, people are going to throw rocks. The internet is full of critics, which is why it can be the toughest stage. Everyone is entitled to their opinion, and I don’t claim my methods are perfect … but I’d love to see those guys come up with a better test, and then spend the time to conduct it on their own dollar and publish it for FREE. I’ll keep doing original testing and trying to provide helpful, data-driven insight for FREE … and they can keep being keyboard jockeys that try to cut people down to make themselves feel more secure. That’s just the way it will be. Cal, I would imagine the R&D shops of many manufacturers are humming with their milling machines and lathes after each one of your posts. At least I would hope they are looking at the results and tweaking their designs where/if needed. Rather than internet hype or conjecture, you are applying factual analysis where possible. You are correct in that you cannot test every brake on every rifle/stock/caliber combination. However, for the combinations tested, you have good data. It appears that any brake selected will be a compromise between recoil reduction, ability to stay on target, noise affects and ease of mounting etc. No one brake is going to be the magic pill to be the end all be all of muzzle brakes. Darn. Wish it would have been that easy. Keep up the good work, it is appreciated by those that know what they are looking for. Thanks, Mark. If this data helps manufacturers improve their designs, we all win. Great job, another groundbreaking study! Reading these is like the next edition of my favorite comic or thriller. I’m only sorry to see that the best recoil reducer is a loud, obnoxious brake and not a supressor. I’m an ear doc and those things are bad for our hearing. Wonder if a hybrid design like the Silecerco Omega has anything to offer. I hear you, Greg. These things are terrible for our hearing. And I always try to remind people that hearing damage is cumulative and permanent, so you can’t ever let your guard down on that front. I usually double-up on hearing protection when I’m around brakes. Honestly, if I’m going to be shooting next to friends all day at the range, I’ll screw on a suppressor. But for competitions, I use a muzzle brake. I’m just too competitive to leave that advantage on the table. Wow. Another incredible post. I shoot the JEC on a 6.5 creedmoor and the results from your research very closely mirror what I experience. 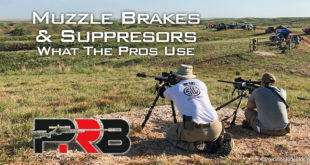 Great to see how the various muzzle brakes compare on the recoil, movement, etc. Keep up the great work. Thanks, Jeff. That JEC is a great brake. I put one on that 6XC a year ago, and have enjoyed it. It is way better than the OPS on my last rifle! Good to see some hard data to back that up. 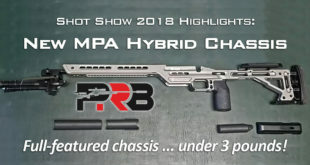 What is your best guess as to the performance of the Alamo four star or APA brake with a couple holes drilled in the top in regards to staying on target? Your guess is as good as mine. I’d have to assume it would be better than nothing. I tried to talk Alamo into integrating that into their design, but they said military guys always complain about how that obscurs their view with nightvision equipment. That sounds like a ridiculous excuse, because if you can’t stay on target … that will mess with your ability to view too! You could eject the gas to 11 o’clock and 1 o’clock if you needed to. Or use the design technique that just wraps the baffles a little further up on the side. That seems like the best solution. They sent me a photo the other day of a prototype with a hole drilled in the top, but I’m not sure if it will ever make it into production that way. We’ll just have to wait and see. If I were running either of those companies, I think I’d do something to help with muzzle rise. It seems like either of them would be the ultimate brake if they’d just make that one tweak. Of course, there may be other reasons they don’t do that, which I’m unaware of. I heard a quote the other day that probably applies here: “Don’t ever take a fence down until you know why it was put up.” It might be really hard to machine it that way, which would double the cost. Or it might just add a lot of complexity. I’m not sure. I think I’d pursue it. Great question though. I’ve even thought about drilling holes in mine myself. If I had the equipment to ensure it was completely square and centered … I’d do it. Cal’s information is valuable in pure data analysis terms, but from it we can also draw conclusions as to how the initial movement or direction of barrel travel, settles in to a place where we can actually see the bullets impact. For years many experienced shooters defined the brakes effectiveness (from a bipod and rear bag) as to how many yards down range they were able to see the bullet impact the target. So if for instance I shot a 300 rum hunting rifle and said I could see impacts after 500 yards, that meant the rifles movement settled down enough that the gun was back on target after the initial upward or downward thrust. The greater the distance to see impacts, the less effective we thought the brake to be. That in and of itself is only a conclusion on target recovery and not actual brake recoil reduction efficiency, from Cal’s numbers we can see some highly efficient recoil reducing brakes moved more than some that were less efficient in recoil reduction. So by seeing this movement, and not taking into account the time frame of this movement, we have not really determined the time it takes for the rifle to be back on target to receive the visual conformation of the bullets impact. Cal is very data driven so I suspect he took this into account but left it out of the article to not add more data than some readers would care to read. I would suspect that had Cal used a rear bag in this test the results would be similar in direction of movement, but the distance of movement would be considerably smaller. Through bipod loading, cheek pressure and the aid of a rear bag you could assume many of the brakes in the clustered areas would act nearly identical. At a recent train up to a shooting event, a few of us shot prone at 1moa targets,(500 yards) we specifically looked at reticle movement through the shot to find the maximum displacement of the cross wire to the target. Using proper form with bipod and rear bag, most of us found that we could control reticle displacement under recoil to on average 1-1.5 mils or 3-6 moa. (mostly braked rifles with some of the brakes represented here) What we found was body positioning had an important roll as well as pressure in cheek and shoulder load in keeping the guns movement reduced and speed the time of the gun dampening back down into it’s aimed position. As Cal mentioned in the article, we have had discussions about the overload of top ports. Muzzle push down in my experience causes a couple problems for specifically, shooters off a bipod. The down ward thrust in sandy conditions can drive the bipod into the ground requiring us to “reset” the bipod over a multiple shot string from the same position. It can also extend the time of recovery to acquire the impact of the bullet because we loose gravities effect of resetting our gun to the target. What I mean by that; if our muzzle recoils up, gravity takes it down to our starting position after the recoil pulse, (personally this is my happy place where I want my guns to react.) In a down ward thrusting brake on a hard surface the bipod causes a springy type of jump, after thrusting downward we get a jump or lift, basically causing a downward off target movement followed by an upward off target movement, thus increasing the total time of movement and increasing the distance. In soft base material under our bipod, the downward thrust can cause a permanent downward movement that then requires the shooter to physically lower the rear of the gun to reacquire the target it, and physical movement to reset the gun on target. Now with that said if my shooting discipline was offhand standing I would accept a downward thrust, why; because in true off hand standing we use bone structure to support the rifle and try and take the muscling of the gun out of the picture. When recoil thrust our gun up and back we must immediately compensate with muscle movement to control our balance. The reverse is true in a down ward thrust. Here are bone structure is loaded and recoil control is muscle free. We then use our muscles to get back into position after the shot, not use our muscles to control the shot. I hope I explained that so everyone understands it. I better stop now or I will just be writing another blog, Good work Cal, always love reading your results. Wow! Great info, Jim. Thanks for the additional context. I hadn’t thought about the desired behavior for offhand shooting. That could explain why the Tubb brake performed like it did off a bipod. I know the high power guys, like David, do shoot offhand A LOT more than I do. It is a different enough discipline that you’d expect some difference in how you want the rifle to behave under recoil. And you definitely could write your own blog. I’d be a subscriber! Excellent article! Thank you so much for your hard work! I was really bummed out to see that suppressors are almost useless on improving the ability to stay on target. I assume you used the TB ultra 9 in the test. Do you think any other suppressor brands would do a better job staying on target, like the Omega? Any thoughts? Thanks again! It seems like it would be better than nothing. The gases will be exiting the suppressor slower than they would be out of a bare muzzle (at least somewhat slower), so I’m not sure if it’d be able to completely offset muzzle rise or not. But I’d be really interested to find out. That has to be the reason SilencerCo added that feature to the design, so I bet it helps some. And the suppressor I used on this test was my personal TBAC 30P-1. I only had the new ultra series of suppressors for one day of my 2 months of testing. I didn’t test the ability to stay on target that particular day. But I bet the performance would be virtually identical. It is an omnidirectional design, so there is nothing about it that helps you stay on target. Your info in the preface about the rifles CG (vertically more than linearly) makes me wonder what the results would be like if more weight was added above the rifles bore line, or subtracted below. For example, a heavier scope would add weight above. Or a lead filled cheekpiece. If the rifles weight with accessories below the bore line could be calculated and then the same for above the bore line, and equalized, that to me would be an interesting follow up test with all or a subset of the brakes. I know these experiments are super time consuming, and so must highly compliment you on your willingness to do this and share the results. Great stuff! They are time consuming, but I love learning. I also love for products to succeed based on merit, and not simply marketing or political favor in the publishing world. I really do just want to help fellow shooters, and I’m hoping this helps brake designers as well. If this data can help manufacturers make more effective designs, we all win. Long-term, I hope this approach inspires others to perform more data-driven reviews (and publish them for free for others to benefit from), instead of just the opinion-driven reviews that are far more prevalent in our industry. I think it’d help the industry mature and move forward. It does take a lot more time and commitment though, but the payoffs could be huge. I think that the answer to this problem is having a rifle with an in-line recoil path, like the AR-15/AR-10. Examples of this in the precision rifle world are the MDT TAC21 chassis or the new Ruger RPR. You could certainly be right. The tube guns like the T2K and Eliseo CSS R5 chassis might have a similar impact as well. I hope to test the Ruger at some point, so I’ll try to keep this in mind for that review. I appreciate the feedback. Along the lines of Adith’s comments, I would venture a guess that when David T. designed his unit he iterated till he stopped seeing offset for his setup. There would have been no advantage to over compensating down that hard. It begs the question of just how much similitude there is when testing with one type of rig or cartridge. I agree that there is much similarity between families of bolt action rifles, but because David T was known to be looking at the same issues, have we asked him for his reading on your results? I would venture a guess that if we put his unit back on his rig he would get the performance he designed for, but then if we substituted with ones from the testing here, he may get an equal magnitude of offset jump in the opposite direction. Of course that is just a guess and I am not suggesting you spend more resources. Once again I appreciate how well thought out your installments in this series have been. If anything, we will either find that the performance groups by rig and cartridge, or it will point to the need for tunable designs. You’re probably right, Dino. 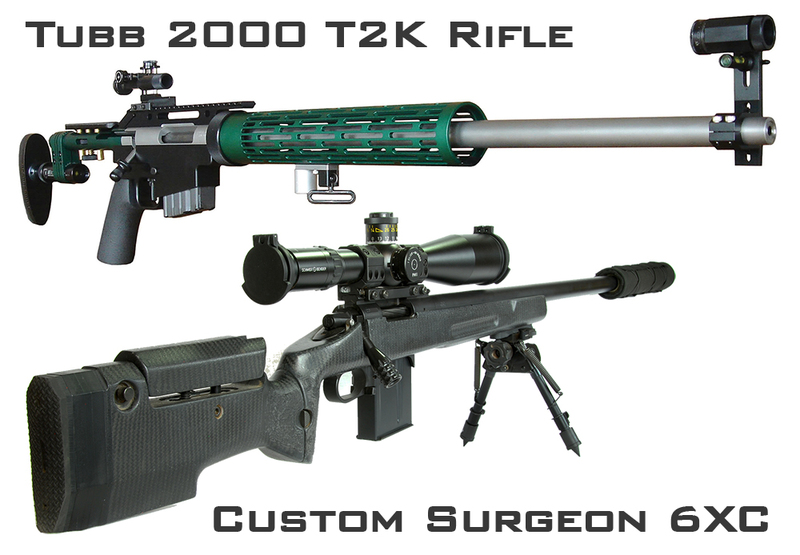 David originally marketed that brake for his Tubb 2000 rifle. 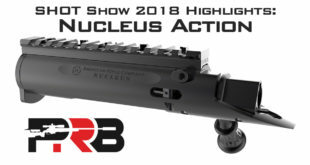 In fact, on Brownell’s product page for that brake it says “The same muzzle brake that David Tubb uses on his Tubb 2000 rifle drastically reduces recoil and increases accuracy on your heavy-barrel rifle.” Brownell’s even calls it the T2K Tuneable Muzzle Brake. The Tubb 2000 is significantly different from the 6XC rifle I tested this on (although coincidentally the same exact cartridge), so like I said in the post … “if you changed the cartridge size or rifle configuration, your results could vary from what is shown here.” Like you suggested, that definitely applies here. I’d bet there is a significant difference in the center of gravity of those two rifles. The difference in sights alone is probably 2 pounds! The T2K also has a tube gun design, which is naturally more linear. That is actually a big advantage to that design, and why high power guys love it. The T2K is also very modular and skeletonized (if that’s even a word). Thanks for the kind words on the content. I try to put out good, objective data. A lot of this stuff has never been done, so we’re learning as we go. I do think you make a good case for the need of a tunable design, or options for how much gas you want to exit out the top. That would be a cool option on some of these brakes. It may add a lot of complexity/cost to the machining and inventory management … but as CNC machines advance, it makes just-in-time inventory more plausible. I definitely appreciate the thought experiment resulting from your comments! Dino, I went back and added some of your points into the post. 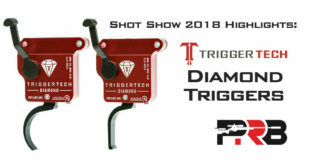 I thought others might benefit from thinking about the difference in performance on a really different rifle like the T2K, and I know that not everyone reads the comments (or the whole post actually) … so I put it up there where I was talking about the Tubb brake performance, and gave you credit for bringing it up. Thanks again for the feedback. The peer input just makes the website content that much better, so I appreciate it. A few questions. One is how many shots did you use to test each brake? If you used more than one, and preferably 3 or more, it would be interesting to see how consistent the movement is from shot to shot for the same brake. I would not be surprised if there is some variability but that is OK and is the nature of this type of experiment. What I think would be useful to show is the standard error bars for the test of each brake. Right now, each brake has a dot showing how far up and down it move the POI during recoil which I presume is the average of your measurments. That is great but with a single dot, one is tempted to take it literally. For example, one could come to the conclusion that JP Tank is the best and significantly better than the Impact or Holland Small. However, if the error bars for the JP Tank overlaps those of the other two brakes, statistically we would say that there is no significant difference. Conversely, if the error bars are tight and do not overlap, one might conclude that the brake consistently is better than the other two. The other question is how valid are these results in general. What I mean specifically is if you only tested one rifle with a single type of round, these results may not necessarily be accurate for another round even in the same rifle that may produce more or less gas when the round was fired. What I mean is let’s just say the bullet was the same (and it likely would not be), if the powder charge/type was different, the amount of gas produce could be different. Since the reduction in recoil is dependent on the gas being directed in a manner to reduce recoil, one could see how this might increase/decrease recoil and push the gun more up or down than say the current round being tested. What you have done is great and is miles better than what is out there which is one big zero. But these are some avenue to potentially even make your results even more informative. Great questions. Yes, I fired multiple shots with each brake, and the difference shot to shot averaged well under 1″. I feel like that is repeatable enough to be valid … or I’d have fired more shots. And, as I said … these results could vary by rifle. I bet they don’t vary much between common tactical, bolt-action, long-range, precision rifle setups. I also would be surprised if the minute changes like you are talking about wouldn’t have any measurable difference. But the great thing about this test is it’s not an expensive setup, so I’d encourage you to put the time in and try it yourself. I’d love to hear what you come up with. Personally, I’m done testing brakes. I feel confident in this data. But, one of the reasons I spent so much effort explaining the setup, and even showing it on video is so that others could run this test for themselves. Cal – the question was not whether your results and conclusions were valid – they are. I just think that you are not making the most of the data you have collected by not calculating and putting up the error bars associated with them. It’s like if you shoot 10 rounds and collected the MV data but only calculated average velocity but not calculate ES/SDEV which is information we use to judge how well the rounds were loaded. Talk to someone who knows statistics and they can help you. I hear what you’re saying … and I also know statistics. I have created box plots with whiskers to visualize things like what you’re talking about. I just don’t think it’d offer the value you believe it will, and it’s not enough to justify the amount of effort I’d have to put into it. I’ve published everything I will be on this topic. I would love to see how a few more devices work on your test. The huber square brake, SilencerCo harvester suppressor with an integral brake and the shorter ultra 5 can versus the 7. What a great test and so much information. I also shoot the jec break based on one of your past blogs about what breaks the pros use. I have about 5 other breaks in this test and love seeing these results. Thanks again. I’d love to see that stuff too, Gene. Especially the SilencerCo Omega and Harvester beside the TBAC Ultra series suppressors. Maybe another day! Glad you’re finding this stuff helpful. Brakes are one of those accessories that are easy to change out, and don’t cost a fortune like most accessories. So hopefully this stuff is actionable for most of us. It’s been a fun test. Nothing like it has ever been published, so I feel like we’re learning a lot. I didn’t realize you were using the older style Legacy Surefire Brake until I saw your picture. The newer ones are neutral and won’t push the barrel to the left. Update 7/27: One of my readers mentioned Surefire has a new revision of this brake with a symmetric design (holes are the same on both sides). This brake was purchased 1-2 years ago. The new design appears similar other than that change, so it may move closer to the center line, but some of that motion would likely translate to the vertical plane causing it to be higher on the target. And I’m really not being facetious … I do appreciate that update. I’m just trying to put out good info, and that is an important detail. The brake looks identical other than them changing the symmetry of those holes, which is probably why I didn’t notice that change when I originally looked at their product page. Thanks for chiming in! No problem. I know it takes a lot of work to put these tests together. We all definitely appreciate the hard work. If you do ever feel like revisiting this test with the new Ruger and T2K that would definitely be interesting to compare the results of both test across the board. 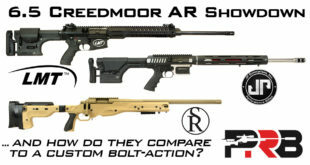 I assume both would be about as close as you can get to an AR-10 with the gas system shut off. What ever you do, you have done a great job on this. I love all the info and am looking forward to the rest of this test. The legacy brakes worked with the older suppressors and the new ones are for the SOCOMs. I think they sell both types. To find the legacy ones on there web site you actually have to look hard. I remember reading somewhere (Can’t remember where) that a complaint about the originals was that they weren’t symmetrical. Another thing they did was there is a pilot holes on the side that can be drilled out a side hole or both if you want. Don’t know how much of a difference it makes but they are there. Thanks! I appreciate the input. I’d love to test a Ruger, and have seriously lusted over the T2K since I first saw it. It looks like an amazing rifle, with a ton of great ideas packed into it. It looks like they only invited 10 gun writers to test the Ruger Precision Rifle at this point, but I bet I can grab one when they are available to the public. I’ll buy one if I have to, just to test it out. Surefire results aren’t telling the whole story. Their muzzle brake is default ported for semi-autos which have much more lateral movement than bolt guns. I would THINK these would look a lot better when tested on a semi-auto. Those holes have nothing to do with the suppressor mounting. Also, the porting in the photo does not look like any of my Socom brakes, maybe I have old versions. And I’m not sure about the latest, but my Socoms have pilot divots for you to drill out your own to make the porting correct for your gun. Fairly surprised how none of this is mentioned in the article… Considering the Surefire is the only military hardware used in the entire test. Great points … some of which were made by another reader just a few minutes ago, and the post has already been updated with some of those details. I don’t want to be too strong on this, but so many people believe that if the military is using something … it must be the best. That is a fallacy. It may mean that its reliable, durable, easy to maintain, interchangeable, or maybe even a good product … but we shouldn’t so naïve that we believe if it’s good for the military, it must be the best for us too. The military thing is just a hot-button topic for me, because I see so many people misled by that fallacy. It hurts new shooters especially. They end up wasting a lot of money and don’t always get the best product. But I do appreciate the correction. I believe peer-review (and correction) makes my content better, which is why I’ve enabled comments on the website in the first place. I don’t want this to just be a one-way monologue. I know I don’t know everything (far from it) and I’m not perfect, so I need others to help fill me in. I definitely don’t want to put out bad info, so thanks for chiming in. Good stuff, thank you. Great food for thought and I’m going to try the laser trick on my own rifles to see what’s up. Before I go out and buy the JP brake though…I’d be interested to see a comparison as too how each brake effects accuracy. Any plans for an accuracy and/or turbulence comparison? I didn’t test accuracy with the brakes, because I couldn’t think of an objective way to do that. I’d rather not publish results on something, rather than publish results that could be misleading. For me to be confident in accuracy results, I’d want to use a rail gun … and I don’t have one (yet). I also thought about getting 3 shooters to shoot a few 10 shot groups with each brake, and average all the results … but I think you’d be “in the noise.” I doubt it would offer enough value to justify the cost of the match-grade ammo it would take to conduct the test. First of all, THANK YOU a lot for your hard work and determination, i appreciate it. I just want you to know that “few” people do read the comments and however i am NOT in the same category as you and many others in here i do learn a lot from your posts and your followers in the blog. I hope one day be able to put some thoughts in here too. 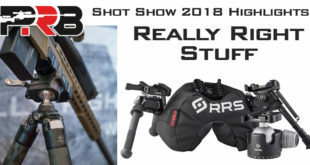 NZ is a great place but PRS and LR shooting is an expensive sport over here and with no much options to shoot at. Thank you a lot for your great work. Thanks, MAC. I appreciate you taking the time to tell me I’m on the right track. The encouragement goes a long way. 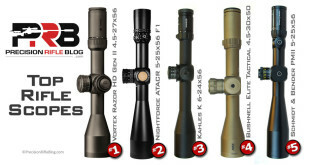 Wonderful post on the benefits of muzzle brakes. Thanks for sharing! It was 11:30 from the shooter’s perspective, behind the rifle. Great question. I think Tubb actually recommends starting at either 10:00 or 10:30, but that was too much for my rifle. It moved the muzzle off to the right. But, he is probably basing that on a Tubb 2000, which as I mentioned is a very different rifle configuration. So I think it can vary rifle to rifle. I just found that to be the optimal timing for my 6XC. It is a really cool feature that I’m sure most people never think about. That’s why we need Tubb to think about things like that for us! Thanks for the help. I am working hard on recoil management so that I can see my bullets’ impact/flight. I may have missed something here but…you tested with the JP in the video and documented it only moved 1/2 inch below target, yet when you show the laser results it moves 4″ high and right 1″? From the video i would guess that was the APA-FB not the JP. Can you please clarify? Love your blog! Too many on the internet offering opinions not facts. Keep up the good work! Yes … I was afraid that might be confusing. The video I shot was of me testing was using the JP Recoil Eliminator. But I just recorded one of the 20+ muzzle brakes I tested that day. When I got back to the computer and discovered I happened to record the brake that didn’t move much … I was honestly a little frustrated, because that video doesn’t show much! So I tried to divide it up into Part 1: “This is what the testing looked like”, and Part 2: “And here is a sample video of the results.” But I realize that may be confusing because it wasn’t the same brake. You’re exactly right. The results video I showed was for the APA Fat B. It was the first video I looked at after the JP, and I thought it showed enough travel to illustrate what the measurements looked like. Great to hear! Glad you found the content and approach helpful. There certainly wasn’t much out there on this topic. I’m kind of new to understanding all the brake stuff, and I apologize if I missed it here, but how much of an affect does an “oversized” brake have? Say… putting the JP Tank on a 6.5 Creedmoor & having to use the .308 version instead of a brake made for the specific caliber. I would assume doing this would diminish the brakes effectiveness? Great article, btw. Thanks! Hey, Matt. That is a GREAT question, and I’d not seen anyone answer that before this test. But in this post I addressed exactly that, at least in terms of recoil reduction. Here is an excerpt where I’m talking about that. Just click on the link above to read the whole thing. Very interesting results! An engineer chimed in on the comments to explain the physics of why this is, but it was unexpected for me. Ah, darn…. I hate when I miss things & ask anyway. There was a lot of reading there, so at least I don’t feel *too* dumb. I appreciate all the work. I can only imagine how long it took to not only do the tests, but then to do all the detail write-up. Yeah … It’s super-long-winded … I don’t blame you! It even took me a minute to find! I should have highlighted that or made it its own post. It did take a ton of time to test, and a ton of time to write. You can underestimate how long it takes to organize and write-up! But I’m committed to a transparent approach. Glad you found it helpful! Thanks for doing such a thorough job of reviewing the various muzzle brakes. I only wish I had seen this before buying the brake for my new build. I chose the PWS PRC Precision 3″ Compensator for my Remington 700 SPS Tactical in .308 installed into a MDT TAC21 chassis with Magpul PRS, ERGO tactical with palm shelf, Timney 517, Accushot monopod, Primary Arms PA4-14XFFP MIL DOT SCOPE on VORTEX TRXHAC 30MM SCOPE RINGS and Harris bipod. Is there any way you might have access to the PWS PRC for test purposes? I would love to see how it performs compared to the others you used. Also, do you know whether the JP brake is accepted in competition format? I don’t compete yet but am hopeful that I can do so in the future. Thanks again for the GREAT article and review! Sorry, George. I’m done testing brakes for at least a year. I may test more in the future, but it’ll be a while. I don’t think I’ve been to any matches that had rules regarding which muzzle brakes you could or couldn’t use. So I’d be surprised if you couldn’t use a JP brake at just about any precision rifle match. But there aren’t universal rules in these types of matches like other shooting disciplines. The rules can and do vary by match, so I can’t speak universally. If you use a good gunsmith (that specializes in precision rifles), threading a barrel will not affect your precision. 100% of my barrels are threaded. I’ve had some that weren’t, and they didn’t shoot any better. The benchrest crowd may be different, but for practical accuracy (sub 1/2 MOA) … it won’t affect it one bit in my experience. The two things that will help you stay on target are a muzzle brake and a heavy rifle … oh, and a 6mm or 6.5 instead of a 308, but I assume you’re not open to that. A muzzle brake will make the biggest difference. When using a muzzle brake on my 6XC, my sight picture literally DOES NOT CHANGE. I can watch the bullet the entire way to the target, and spot my bullet splash even at closer ranges. And you should look into swapping out the feet on your Harris bipod. I HATE it when a bipod slips … changing over to bipod spikes was one of the best things I ever did. It won’t slip on any surface. I love it. Check out my 6XC build for more details on the JEC bipod spikes I use. Aaron Roberts is the gunsmith behind Roberts Precision Rifles. His professional shooting background started in the US Special Ops as a Ranger and on the Long Range Surveillance Detachment. He later served as the Captain of the elite Blackwater Training Center Shooting Team. In case you don’t know, that’s serious. While at Blackwater, Aaron was responsible for designing and implementing some of the most current and comprehensive shooting and tactics programs ever created. Aaron says their desire at RPR is “to do work correctly and build to spec. If the spec calls for 1.0625; that means it’s not 1.0599 or 1.0632; it’s 1.0625.” Wow. That’s about as impressive of credentials as you’ll find for any gunsmith. I’d have a lot of confidence in his work. And as for thread pattern, I’d ask Aaron what he thought. Personally … I think the standard 5/8×24 is fine. That is what all my mid-sized calibers are. You actually don’t want to go 1/2 … that would make it weaker, because you’d have to remove more metal to get there. Some guys prefer 3/4, but I’ve never heard of someone going 1/2 on a 308-sized cartridge. I’m sure someone has, but I definitely wouldn’t do it. It’s funny you mention that problem, because I recently bought an expensive and very precise set of pin gauges and measured the bore dimensions at the muzzle of 10+ threaded barrels in all kinds of contours (from light palma to M24 contours, stainless steel barrels, carbon fiber barrels, etc). Threading DID NOT affect the bore dimensions on any of those barrels. I know there are people who have found that to be the case in the past, but none of the barrels I measured had that issue. Of course, I only use competent gunsmiths … so that might be part of it. I can’t stress how important it is to use a great gunsmith, and not just go with a local guy that you know. There are gunsmiths where I live, but I never use any of them. 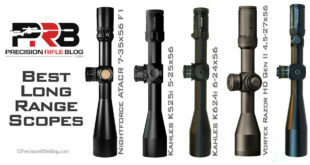 When it comes to precision rifles, I want to only use the best of the best. Shipping stuff isn’t that big of a hassle. 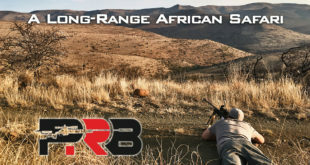 In your case, Roberts Precision Rifles is pretty close … so you have a good option. But most people aren’t that fortunate. There are really just about 10 gunsmiths in the country that I’d trust my work to, so the chances that you’d live close to one of those is pretty slim. But I’d have a lot of confidence in Roberts Precision. Some of the top tier rifle shooters in the country trust their work to them, and he sounds like a very disciplined and detailed guy with very high standards. You want someone with those characteristics, and it’s more rare than it should be. I just contacted Aaron via email and he promptly replied and is more than willing to meet with me when I get in from offshore. Thanks a ton Cal…I’ll be standing by for more articles! 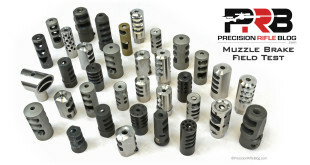 Pingback: Muzzle Brakes: Ability To Stay On Target | PrecisionRifleBlog.com | "Danilo Amelotti"